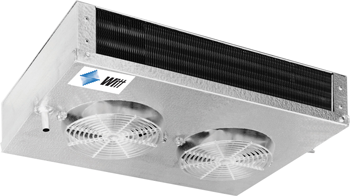 Witt’s reach-in evaporators are available in numerous configurations to provide refrigeration solutions in tight spaces with limited clearance. Reach-in unit coolers are used in a wide variety of applications, such as under-counter coolers, display cases, and back bars for kitchens and fast food restaurants. The variety of models available gives our OEM customers the ability to have the perfect solution for any application.